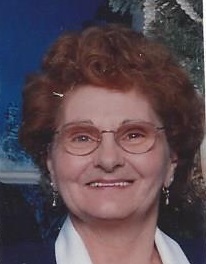 ROULETTE, Pa.---Sally O. Wykoff, 81, a longtime resident of Roulette and formerly of Genesee, passed away with her loving daughter by her side on Thursday, April 11, 2019, at Sena Kean Manor, Smethport, after a long illness. Born on Wednesday, June 9, 1937 on the family homestead on Wykoff Run in Austin, she was a daughter of Gerald and Lillian Shutt Wykoff. Sally attended school in Genesee until age 14 and graduated from Roulette High School. She was employed as a registered nurse in Wichita Falls, Texas and in Warren, Pa.
She was a member of the Riverside United Methodist Church in Roulette, a member of the Ladies Auxiliary of the Port Allegany Moose Lodge, a member of the Coudersport Volunteer Fire Department Ladies Auxiliary, and a member of Coudersport Fire Police. Sally loved to travel, camp, crochet, knit, yard sales, family “get togethers”, dancing, gardening, and mowing her lawn. Her greatest love was her family. Surviving are a daughter, Debra D. (James) Ostrom of Roulette; a son, Steven G. (Brenda) Meacham of Gerry, N.Y ; seven grandchildren, Steven J. (Amanda) Meacham, Brandon (Brandi) Meacham, Heather (Jake) Wilson, Sara (Christian) Sallade, Melany (Mary) Cartwright, Ashley (Caleb) Kilgore, and Jacob (Teresa) Ostrom; fourteen great-grandchildren; a sister, Naomi Lewis of Arizona; and several nieces and nephews. In addition to her parents and previous husbands, Sally was predeceased by a sister, Delores Nichols; and two brothers, Douglas and Bernard Wykoff. A private celebration of Sally’s life will be held at the convenience of the family. In lieu of flowers, memorials may be made to the Alzheimer’s Association, Greater PA Chapter, 1600 Peninsula Drive, Suite 15, Erie, PA 16505 or to a charity of the donor’s choice. Sally’s family has entrusted her care and cremation arrangements to Kevin J. Dusenbury, funeral director/owner of the Virgil L. Howard Funeral Home, Shinglehouse.